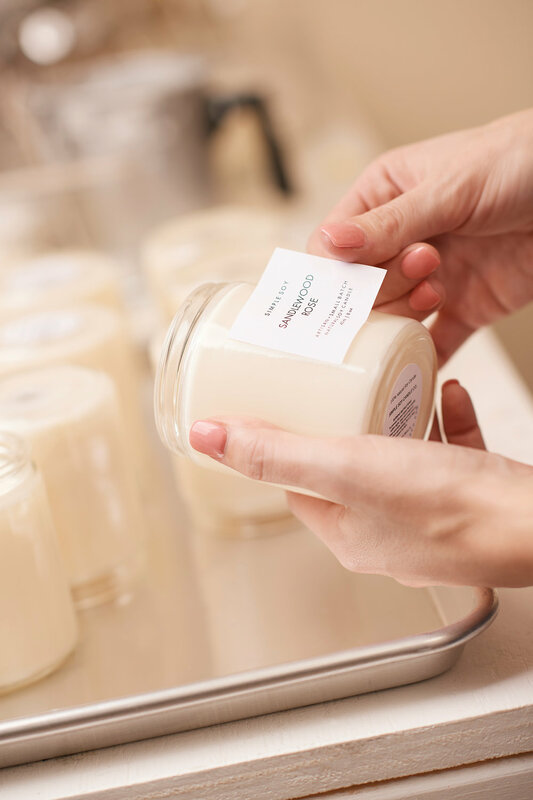 Maker Profile: Simple Soy Candle Co. While candles are a year-round favorite in many homes, the holiday season is a time where people are especially eager to enjoy the magical glow they provide. Festive and timeless, the smell of a scented candle can bring back memories and welcome in guests with the comforting hints of pumpkin, delicious baked goods, or pine branches. They also make a great gift! 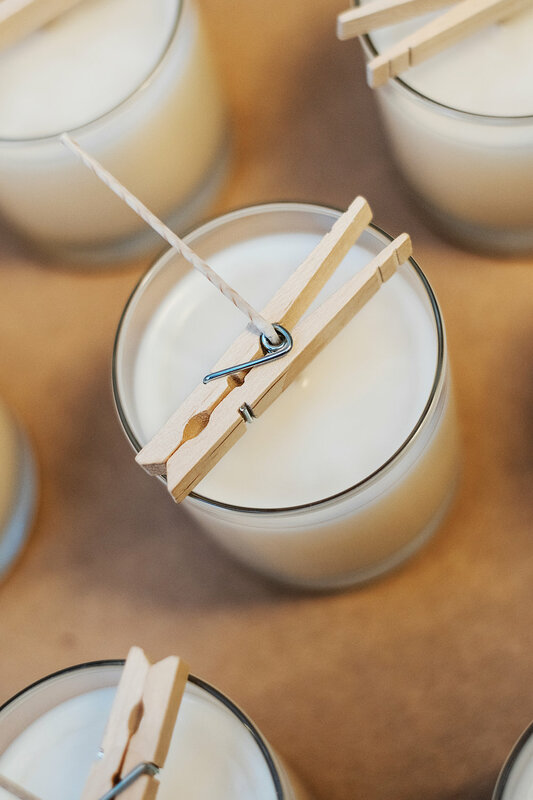 As you peruse the candle options at your favorite stores, you might not realize those appealing smells are usually made from paraffin wax, a petroleum byproduct, and synthetic fragrances which are also derived from petroleum. Synthetic fragrances often contain phthalates which are harmful endocrine disruptors. These phthalates can trigger asthma attacks and have been linked to cancer in pets. In addition, many candle wicks contain heavy metals which are released into the air as the candle burns. Seeing the issues conventional candles cause, Cortney Byus founded Simple Soy Candle Co. in Fort Myers, Florida in 2015. “I was working in corporate America and was feeling professionally unfulfilled. Candle making for me was a creative outlet and hobby but once I made the decision to leave my corporate job I realized I could turn what I love into a full-time profession,” explains Byus. 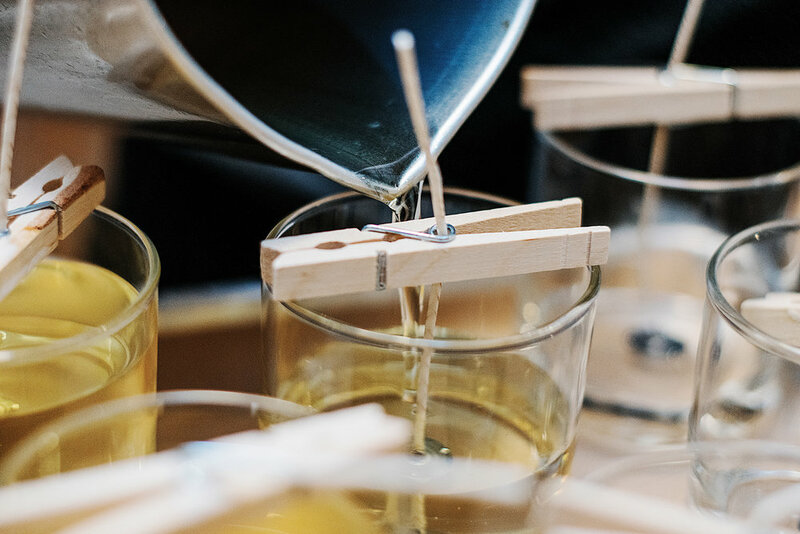 Her company has quickly become a burgeoning leader in the artisan candle industry due to her clean-burning candles that are sustainable and long-lasting. The lifetime of her candles are one of the things customers frequently comment on. “The high-quality, natural materials I use create a candle that burns 50-60% longer than a conventional one,” Byus says. Byus’ small batch process keeps production simple and intimate, and each batch of candles is carefully and precisely curated. Her deliciously scented candles (both soy and beeswax) are hand-poured by Byus who works out of a small studio with lean and natural materials with a focus on wholesome, easy to understand ingredients. This includes 100% cotton wicks and essential oils that are phthalate-free. Her candles are free of parabens, preservatives, emulsifiers, thickeners, synthetic fragrances and additives. The commitment to sustainability doesn’t end with the candles. From the labels and packaging to the shipping supplies, Byus uses recyclable materials from start to finish. Simple Soy’s plant-powered, vegan candles are one of our top gift recommendations this year. Their natural ingredients mean you don’t have to worry about toxins so they are great for those with allergies or for someone trying to keep their home chemical-free. This time of year we suggest the Holiday Blend, White Pine, Warm Apple Pie, or Pumpkin Spice scents. Simple and minimalist with a hint of modern charm, they are designed to complement every home’s style from country chic to bohemian. For more information on Simple Soy Candle Co. and to shop the collection, visit simplesoycandleco.com.